Many people have a “cause” which is close to their hearts for obvious reasons. I’m no exception. I have a son with an Autism Spectrum Disorder called Asperger’s Syndrome. 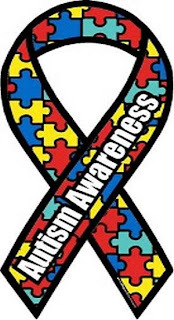 I’ve blogged about it before and simply wanted to throw my hat in the national ring on World Autism Day reminding people this is a real issue for many families (1.5 million Americans have some form of autism). In fact, the entire month of April is given to Autism awareness. For example, among other businesses and corporations joining the emphasis, CNN will be highlight stories about autism on both television and internet the entire week. For more info on this condition and the issues surrounding it click here or watch this brief video.